Bring your friends and travel on us! We want to you to try our trip because we believe you will experience the trip of your lifetime!! 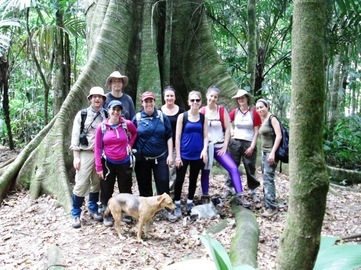 We believe that you will have an even better time if you traveled to Costa Rica with your friends. So we want to make a deal with you! Get 8 friends or family mebers to join you, and we will give you your trip in Costa Rica for free! Bring 12 friends, and we will give you $500 towards your flight! Tell us when you want to go to Costa Rica, and we will gladly organize the trip for the time you are in Costa Rica. Getaway to Paradise with your Friends! Call or email us and let us know how we can create a trip for you. !